Remember all the hoopla with the Bicentennial in 1976? Well, the Centennial in 1876 was a pretty big deal too. All sorts of celebrations and you can't have a proper party without commemorative fabric. 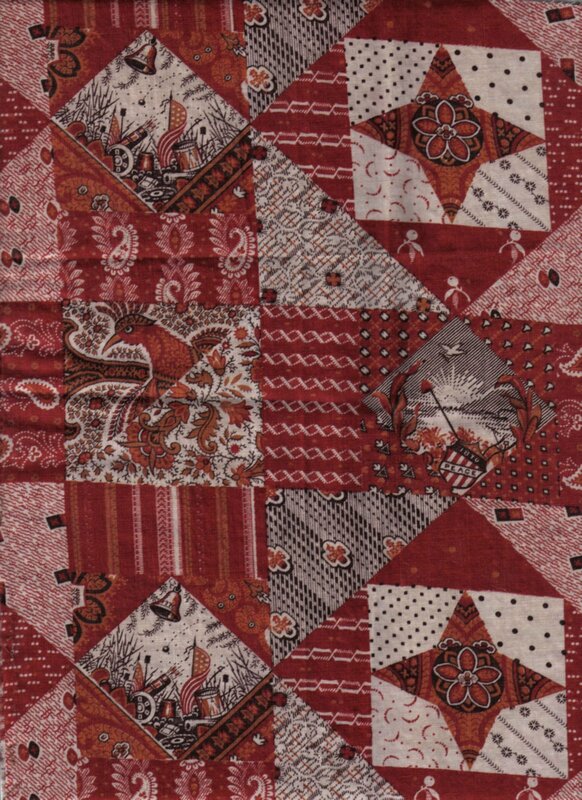 This is one of my favorites from 1876, a faux patchwork (cheater print) and it includes scenes of war and peace. Below is the liberty bell detail from the above fabric but in the brown colorway. 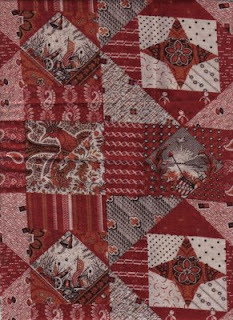 Part of an antique logcabin summer spread (not quilted) from my collection. Another detail with the peace shield. Always enjoy seeing the early cheater cloths. I remember the 1976 Centennial very well. I was 17, in the US that 4th July, my first visit to the US and without my parents, staying with the family of an army friend of my father. I was soooooo amazed by everything I saw and the stars and stripes were everywhere! Even on the straws of drinks! First visit of many to your beautiful country. And love that log cabin, it is a beauty.